One of my favorite new (to me) cheeses this year. Everton from Jacobs and Brichford… More like a well-aged Comte than any other American-made cheese I’ve tried. The last wheel we got was also super oniony in that good Alpine way. Mmmmmmm. 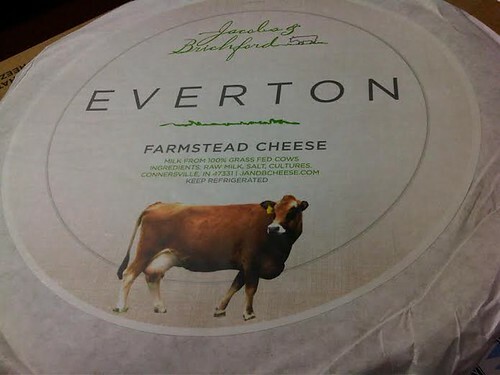 This entry was posted in Uncategorized and tagged cheese, cheese pics, everton, jacobs and brichford cheese, the year in cheese pictures 2013. Bookmark the permalink.